WPW016915 WALES (1926). View of Cardiff showing Cambrian Wagon Works, Maindy High School and Maindy Pool, oblique aerial view. 5"x4" black and white glass plate negative. 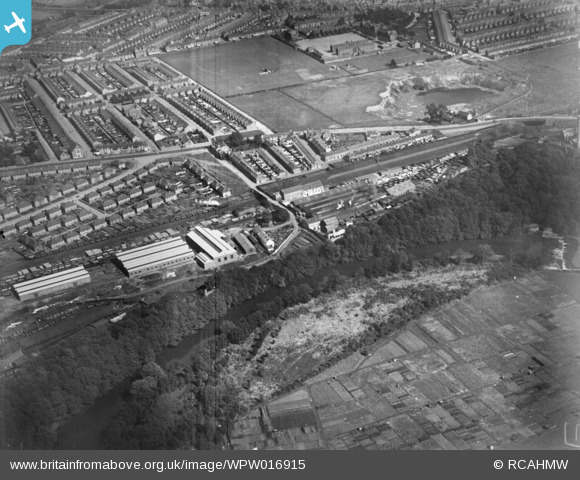 Pennawd [WPW016915] View of Cardiff showing Cambrian Wagon Works, Maindy High School and Maindy Pool, oblique aerial view. 5"x4" black and white glass plate negative. Maindy Clay Pit which was later filled in to create Maindy Stadium which opened in 1951.